One of the hardest decisions we ever have make as pet owners is when to say goodbye. When pets get sick or their bodies have worn out and they’re not having fun anymore we must make the painful decision to release them and free them of pain and suffering. But there are so many things that you can do to honor your pets while they’re still here. I recently read a blog by a woman who had a terminally ill dog so she set out to make his final months as fun as possible: She made a bucket list of things he would most love to do. And then they did them, while he still had his health. I love that idea! Checking off activities and events from a lovingly prepared bucket list provides a unique opportunity to share special times and make memories together. If you don’t have that kind of time or if your companion animal has become suddenly ill and only days or hours are left, you can still do some amazingly loving things that will give him or her a special send-off. You can do something very simple or you can plan an elaborate service, whatever suits you and the situation best. 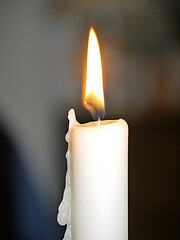 Before I had any experience with euthanasia, I didn’t even think of ceremony. 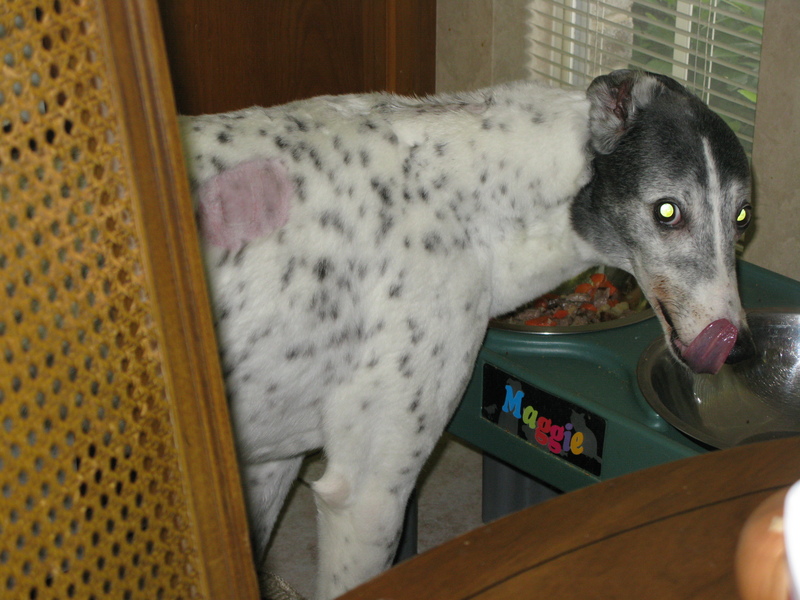 My first dog had bone cancer (Osteosarcoma). I asked the vet, “How will I know when it’s time?” He said “You’ll know. You’ll just know. She’ll stop eating.” Well, that never happened. 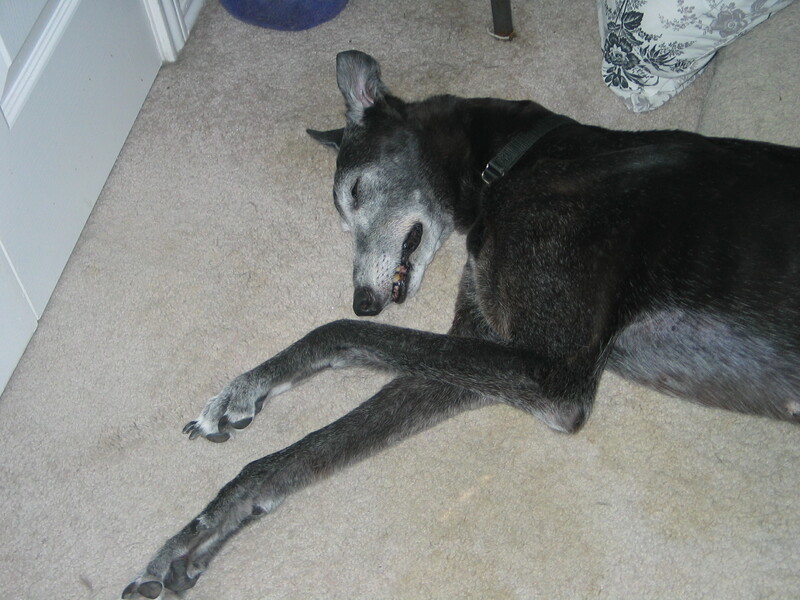 My Takala was one of the skinniest greyhounds I’ve ever seen: she was tall and lean and ate like a horse! I don’t know how she stayed so thin when she ate so much but her biggest joy every day was meal-time. Even at the very end. Her pain had gotten so that she couldn’t get comfortable and it was stressing her to the point of spiking her body temperature. It was time. My vet was scheduled to come to the house to do the euthanasia around 6pm that evening. Because what Takala loved more than anything was eating, at noon time I went to McDonald’s and got her five double-meat cheeseburgers. I came home and said “Oh Takala, do I have a special treat for you!” I sat down on the floor with her and began to break off pieces of the hamburgers and fed them to her. She was so delighted and so excited. Believe it or not, this skinny little girl ate all of them! FIVE DOUBLE MEAT CHEESEBURGERS!! And she still wasn’t done. I brought her a bowl of ice cream for dessert and she ate all of that, smiling the whole time. She nuzzled me as if to thank me and I knew her full belly made her so happy. 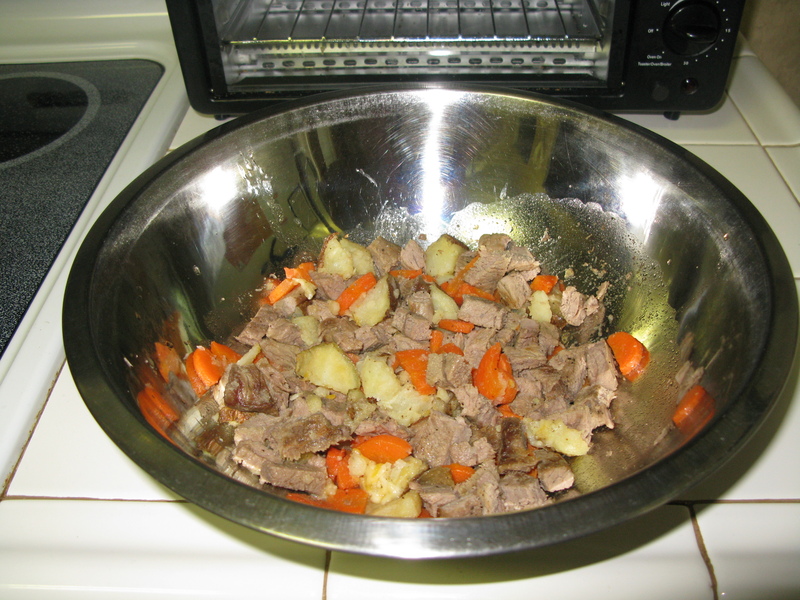 A few hours later I was fixing dinner for all the rest of the dogs and she came out and wanted dinner too, so of course I gave her a bowl of kibble mixed with canned food. She ate almost all of that too! The double meat cheeseburgers and the ice cream was a very simple send-off but one that I know she enjoyed. 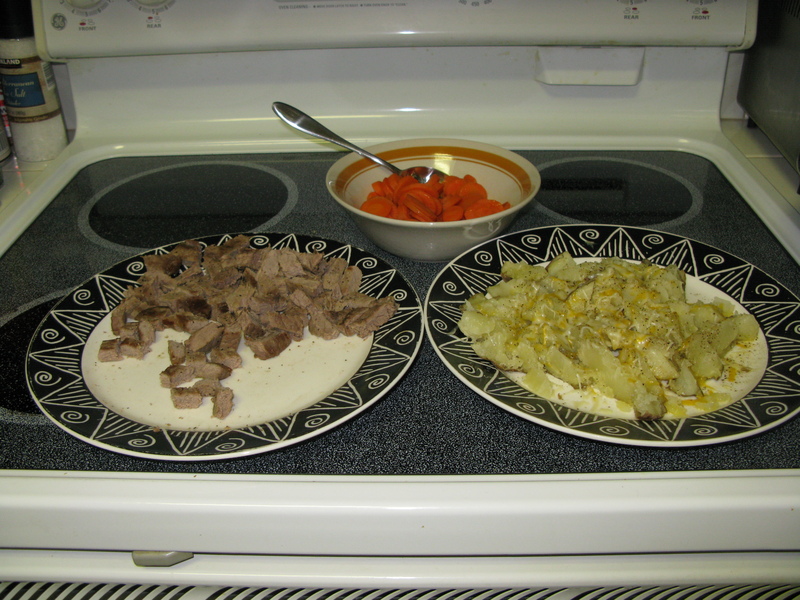 For Harry, who also had Osteosarcoma, I prepared a big steak and made a baked potato with butter and sour cream and a side of carrots, mixed them all together in a big bowl and he had his “Last Supper” send-off meal. Dogs find pleasure in such simple things! For dessert he had some of his leftover birthday cake. I had had a little birthday party for him a few days earlier because he was turning 10. By the time Finnegan’s time came, I was a little more experienced and gave more thought to his send off. Finnegan was diagnosed with Lymphoma when I adopted him and we had eight glorious months together before the final flare-up erupted. It was one that he wouldn’t have been able to come back from. His flare-up started on a Sunday afternoon and I called the vet right away. We had the night together and my vet was coming over at noon the following day to do the euthanasia. Finnegan was panting and his temperature was rising. I was cooling him with ice packs and cold compresses. He was laying on my bedroom floor, which at that time was carpeted. I tried to coax him out to the living room to lie on the tile floor where it was cooler. He got up and instead of heading out to the living room he made a dive for my bed. And there he stayed all night long. The odd thing is, Finnegan was not a big bed guy. He’d come up and lay on my bed for a short while but he inevitably got down and would go out in the living room during the night. But not this night. I slept next to him and loved on him all night long. In the middle of the night some of the other dogs wanted to go outside and I tried to get Finney to go out but he wouldn’t move. It made me realize that he knew what was going on and he was choosing to stay in the bed with me all night. That act of love meant so much: he wanted to spend his final hours next to me. When the vet came with her vet tech, we got in our places. 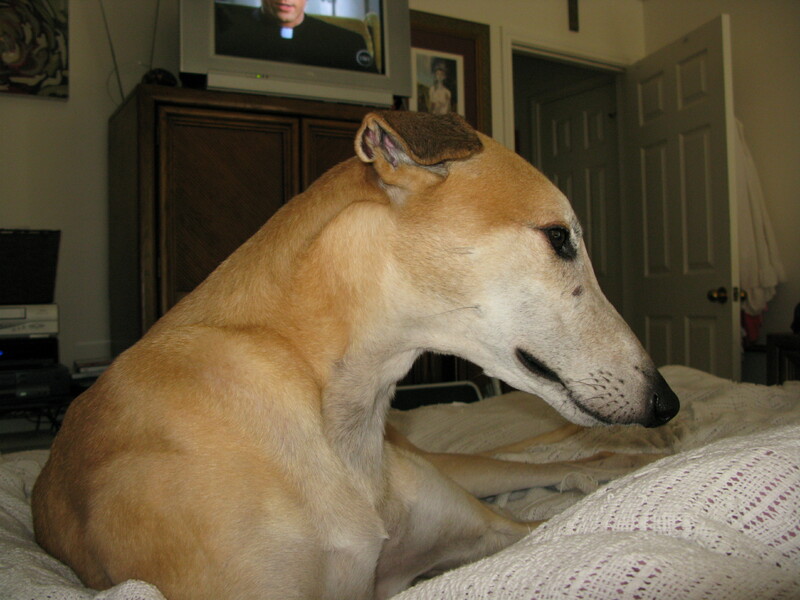 Still in my bedroom and Finnegan still on my bed, a friend read a specially prepared and personalized prayer while I loved on my boy. When the prayer concluded, I played a very special song, one that had been written and performed by singer/songwriter friends, while the vet administered the euthanasia cocktail. As the melody played I held Finnegan and told him how much I loved him and how much he had meant to me during our short time together. It was a very poignant send-off for a very special dog. That was quite an informal ceremony. You may wish to have a more formal gathering. In that case, you might want to get in touch with an animal chaplain to perform a Last Blessing (Animals Last Rites) service and to be there during the euthanasia. Not only will the animal chaplain be there to perform the ceremony but she or he is trained to help you and your family deal with the pain and grief. When time allows, preparations can be made to enhance the service with the inclusion of a prayer cloth, prayer cards, rose petals and holy water. This can turn the dreadful experience into one that feels very holy and blessed. Memorial services are also a wonderful way to honor your animal companion. There is no time limit on when the service can or should be performed. It can be before or after the animal’s passing. The memorial services that I have performed have primarily been small and intimate but still had a feeling of formal structure. I prepare a printed keepsake for the family with an In Loving Memory photo of the pet on the cover, the Order of Service on the back and inside is a copy of the special memorial prayer said during the service. I start with a Welcome and a Lighting of the Candle, followed by Opening Words, a Prayer of Invocation and the Memorial Prayer. After that comes the Celebration of Life; this is the time when family members and friends share stories and memories of their beloved animal companion. That is followed by the spreading of the ashes (or burial). I always do a sage blessing of the ground before the ashes are spread (or before the burial takes place). A special Memorial Stone is then placed at the site (in this case, a Pet Memorial Garden) and the service concludes with a Closing Prayer. The memorial service provides a sense of closure and leaves those grieving with a feeling of reverence and blessing. Transition ceremonies and memorial services are important rituals that acknowledge the loss of your animal companion and mark the beginning of the emotional journey from grief to acceptance. They are a beautiful way to fully honor your beloved animal friend. What a lovely, kind hearted post. I remember when my childhood cat, Snoozy passed away. I had just moved away from home, and my Dad called- it’s one of the only times I have ever heard him cry. We all came home to set her to rest in the garden, and it helped so much. I still say hello to her when I pass her patch beneath the apple tree at my folks place. It really does help. I hope that your post brings that relief to somebody in the same sad position, and I’m sure it may have already. Thank you so much for your comment! It warms my heart to hear that Snoozy was given such a lovely send-off and how comforting to know that she’s thought of frequently. Under the family apple tree sounds like a fabulous place to be! Thanks for visiting my blog. I appreciate the follow! Thanks so much for stopping by and reading my article on Transition ceremonies and memorial services for our beloved furry family members. And thanks for including the Paws At Peace Pet Hospice link. Is this your company? My sympathies on the loss of your sweet Oliver. Sounds like you gave him a loving send-off and I’m sure he was very grateful for all the love you shared and all the care you gave him, especially in his final days. Thanks again for stopping by. Hope to see you here at Angels Bark again soon.